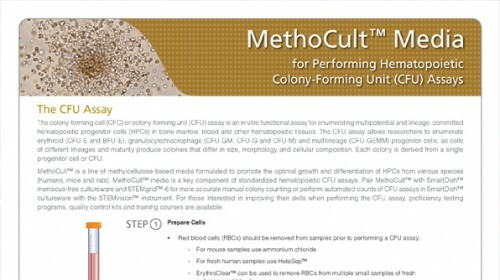 MethoCult™ SF M3436 is optimized for the growth and enumeration of primitive erythroid progenitor cells (BFU-E) in colony-forming unit (CFU) assays of mouse bone marrow, fetal liver, spleen, peripheral blood, and purified cells. 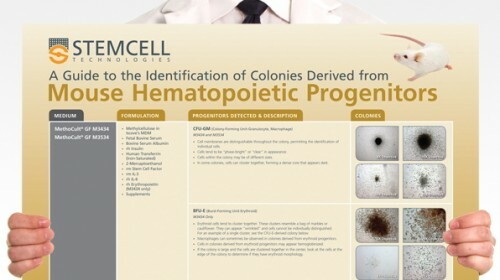 MethoCult™ SF M3436 does not support the growth of granulocyte-macrophage progenitor cells (CFU-GM, CFU-G and CFU-M) or multipotential granulocyte, erythroid, macrophage, megakaryocyte progenitor cells (CFU-GEMM). 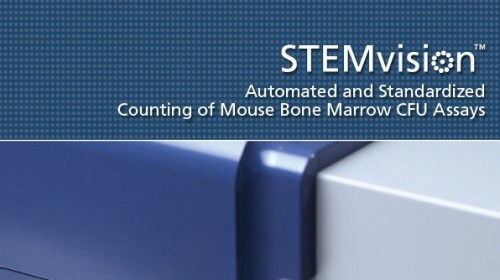 This formulation is serum-free and compatible with STEMvision™ software for automated colony counting of mouse bone marrow CFU assays. 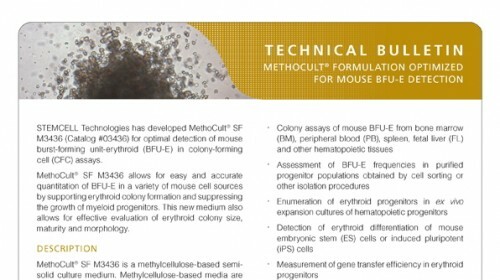 MethoCult™ SF M3436 can also be used for growth and enumeration of BFU-E in CFU assays of rat bone marrow cells. 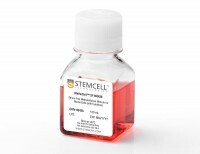 Inhibition of the TGF-beta receptor I kinase promotes hematopoiesis in MDS. 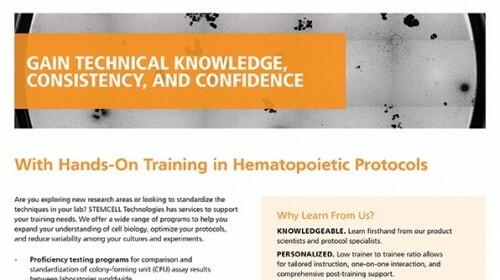 MDS is characterized by ineffective hematopoiesis that leads to peripheral cytopenias. 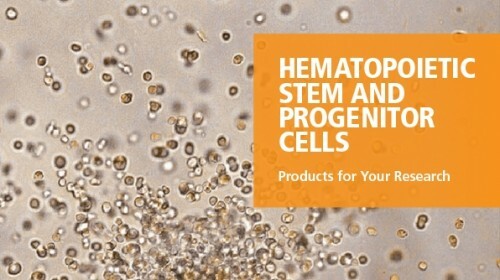 Development of effective treatments has been impeded by limited insight into pathogenic pathways governing dysplastic growth of hematopoietic progenitors. 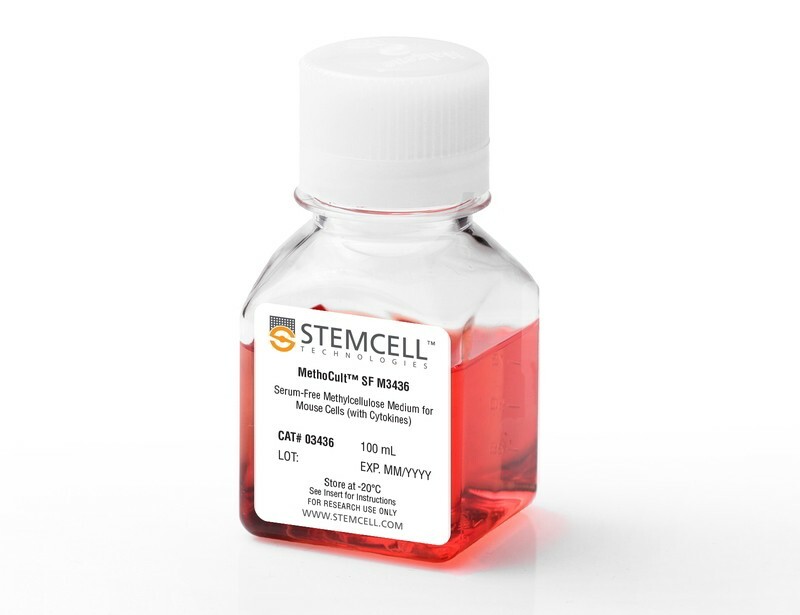 We demonstrate that smad2, a downstream mediator of transforming growth factor-beta (TGF-beta) receptor I kinase (TBRI) activation, is constitutively activated in MDS bone marrow (BM) precursors and is overexpressed in gene expression profiles of MDS CD34(+) cells, providing direct evidence of overactivation of TGF-beta pathway in this disease. 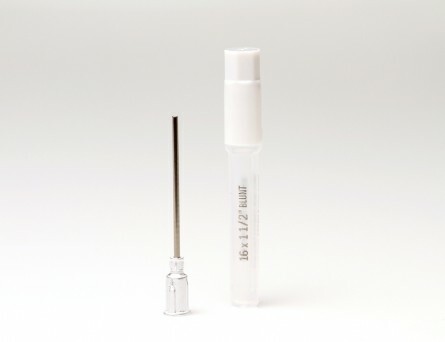 Suppression of the TGF-beta signaling by lentiviral shRNA-mediated down-regulation of TBRI leads to in vitro enhancement of hematopoiesis in MDS progenitors. 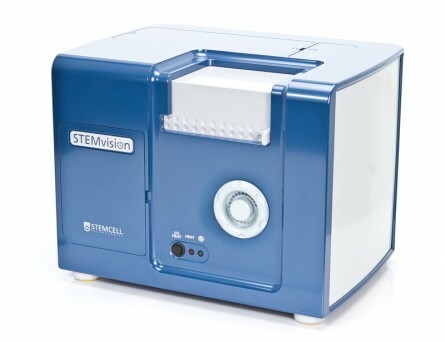 Pharmacologic inhibition of TBRI (alk5) kinase by a small molecule inhibitor, SD-208, inhibits smad2 activation in hematopoietic progenitors, suppresses TGF-beta-mediated gene activation in BM stromal cells, and reverses TGF-beta-mediated cell-cycle arrest in BM CD34(+) cells. 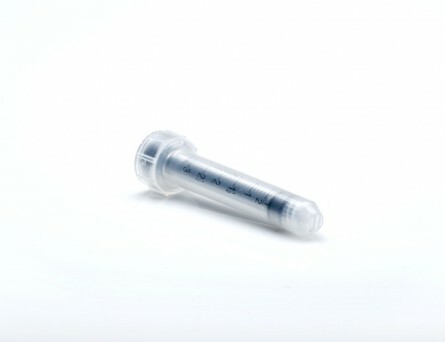 Furthermore, SD-208 treatment alleviates anemia and stimulates hematopoiesis in vivo in a novel murine model of bone marrow failure generated by constitutive hepatic expression of TGF-beta1. 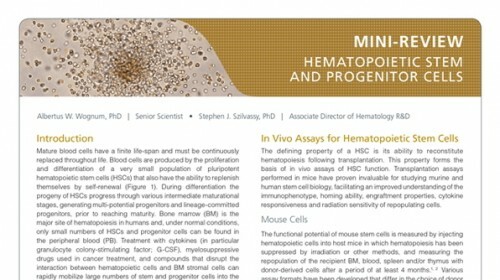 Moreover, in vitro pharmacologic inhibition of TBRI kinase leads to enhancement of hematopoiesis in varied morphologic MDS subtypes. These data directly implicate TGF-beta signaling in the pathobiology of ineffective hematopoiesis and identify TBRI as a potential therapeutic target in low-risk MDS.